It was amazing service and I'm very happy with the cut. Dawn really listened to what I was looking for, and she also have me extra tips and advice to prep my hair for my upcoming wedding ! I'd go back for sure. Ashley gave me an excellent cut. She was incredibly knowledgeable and easy to talk to. I would highly recommend! Beautiful location, and kind and experienced staff. The haircut turned out fantastic and was so efficient as well. Obviously the staff is good at what they do. I really love my haircut, actually! The stylist, Dawn, was fantastic and seemed like she really knew what she was doing. Considering the fact that she had never met me before but managed to give me a haircut that I think totally suits my face and personality, I am IMPRESSED. 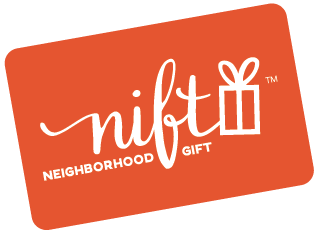 Yay Nift!!! It was a really nice place and the cut was good. I was surprised when the online price didn't match the in store price (it was $10 more in store), but overall it was a good cut. Dawn was a super friendly, very experienced hair stylist. She knew just what to do with my curly hair. The space is beautiful too! Very friendly staff and great cut! I loved Franco's! Great atmosphere, prices, and stylists! Ashley actually knew what to do with curly hair! Most places I've been have no clue. My hair feels and looks so much healthier and lighter. They're doing renovations now so it was a bit dusty but I'm sure it'll look great once it's done. Dawn was a great and communicative stylist - she talked me through what I wanted, what I could expect, and her process as she went along.